“A joint force raided the cargo ship and used rubber bullets and tear gas to force [them off the ship],” the commander of the central region coastguards, Tawfiq Esskair, told the Reuters news agency by phone on Tuesday. 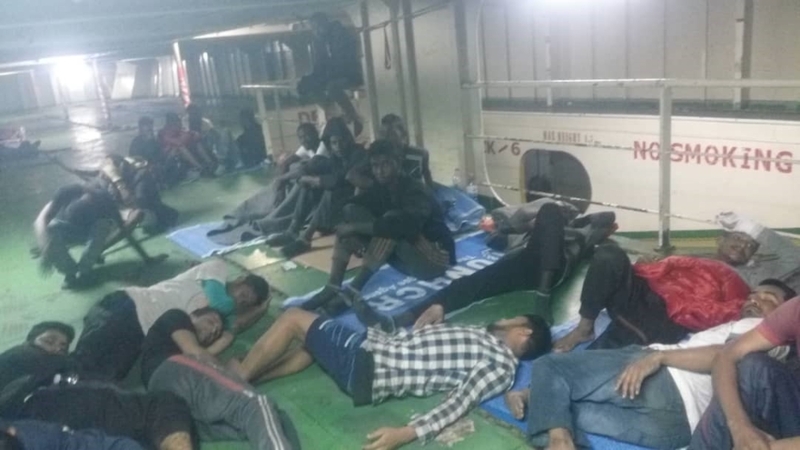 Some of those on board were wounded during disembarkation but were now “in good condition” after treatment in hospital, and all had been taken to a detention centre in the city, said Esskair. 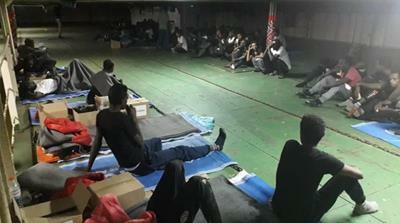 Two of those on board – Kai, 18, and Daniel, 16, both from South Sudan – told Al Jazeera earlier this week that it was too dangerous to go back to the centres, where they risk being abused and sold to people smugglers while having little hope of being evacuated. Libya’s western coast has been a main departure point for refugees and migrants fleeing wars and poverty and hoping for new lives in Europe. But since last year, heavy pressure from Italy – which had been bearing the brunt of arrivals – resulted in the disruption of coastal smuggling networks and the withdrawal of charity rescue ships.